Ms Philippe and international arbitrator Lucy Greenwood were selected for the Awards by a three-member panel comprising Co-Chairs of CPR’s Diversity Task Force. 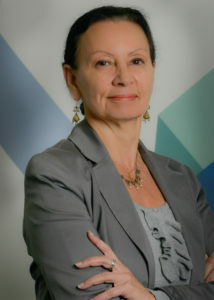 Ms Philippe is a founding co-president of ArbitralWomen, an international non-governmental organisation with the primary objective of advancing the interests of women and promoting female practitioners in international dispute resolution. She is also a member of the Steering Committee of the Equal Representation in Arbitration Pledge and a member of the Board of Advisors of Arbitrator Intelligence. The Award acknowledges Ms Philippe’s dedicated efforts to bring diversity to the foreground that date back over two decades to an era when debate and awareness around such issues was not commonplace. Those nominating Ms Philippe noted her decades of work researching and publishing data about the lack of diversity in arbitrator appointments in international arbitration contributing to greater transparency and understanding around the issues. The awards will be formally presented at CPR’s Annual Meeting, taking place March 8-10, 2018, in Atlanta. Founded in 1979, the International Institute for Conflict Prevention & Resolution (CPR) is a New York based independent non-profit organization providing both administered and non-administered arbitration services. Created 10 years ago, the CPR diversity award is the only award to recognize the work of practitioners who have undertaken initiatives towards change and towards achieving equality for all dispute resolution practitioners. The professional, cultural and gender diversity of ICC Court members reflects the world-class standard and international reach of ICC Arbitration.